Mackenzie Region - 5 Great Autumn Spots! 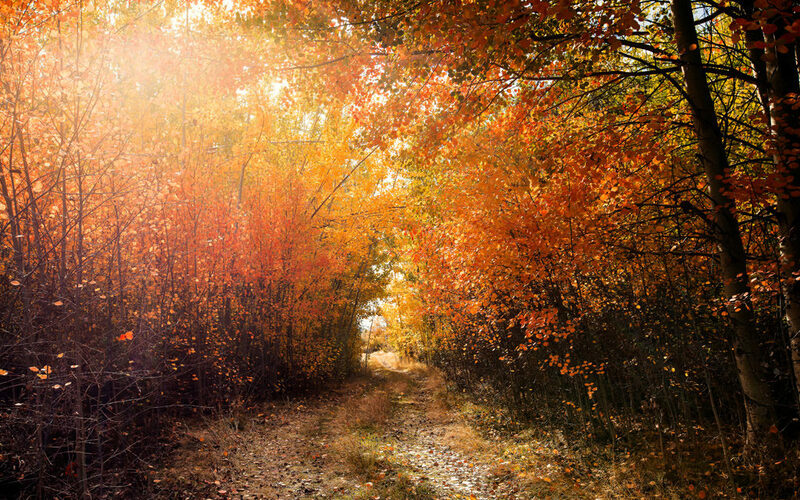 Autumn – crisp air, clear skies ringed by snow-capped mountains and an abundance of gorgeous colour! Thanks to the pioneers who settled the Mackenzie there are plenty of deciduous trees. The early settlers often planted trees from their northern hemisphere homelands which in turn thrived here in the Mackenzie. Lucky for us as we’re now blessed with plenty of spots to view the lovely autumn colours. Here are some of our fave places to check out nature’s show – get those cameras snapping! 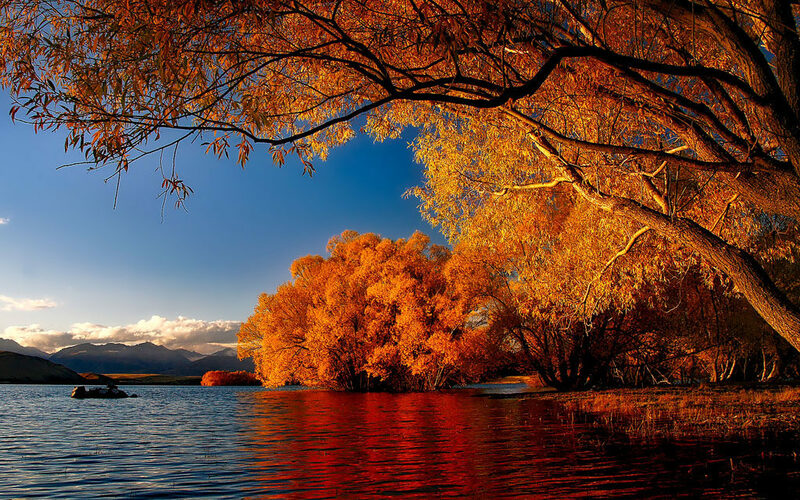 Twizel has plenty of areas to view the autumnal colours. This former hydro-town had a very proactive tree-planting programme for many years, leading to thousands of exotic trees being planted all around the township. Try walking along the Twizel River, or out at Lake Ruataniwha. Be sure to warm up once you’re done at some of Twizel’s excellent cafes! Fairlie is especially blessed with large, mature Northern Hemisphere trees. Walking along the main street you could almost think you were in a quaint American town – oaks and sycamores towering overheard. 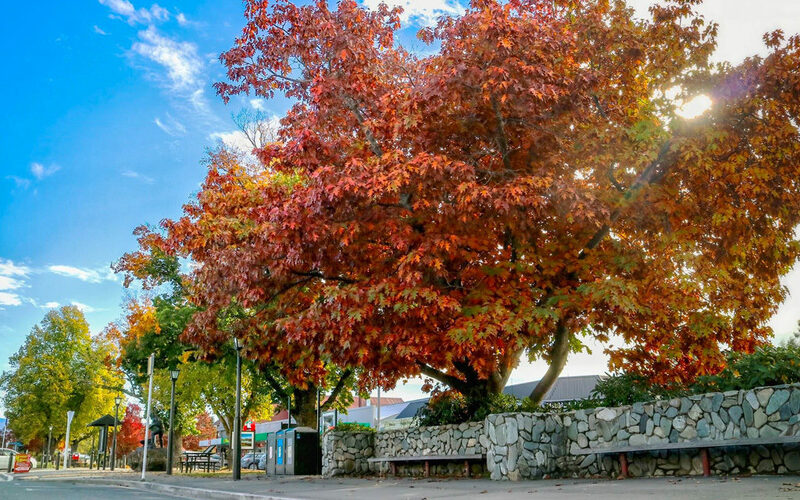 Enjoy a stroll around the township, and of course, nothing tops off an autumn photo expedition like a warm pie at the famous Fairlie Bakehouse afterwards! Hidden gems! These twin lakes are often overlooked in favour of their famous neighbour, Lake Tekapo. 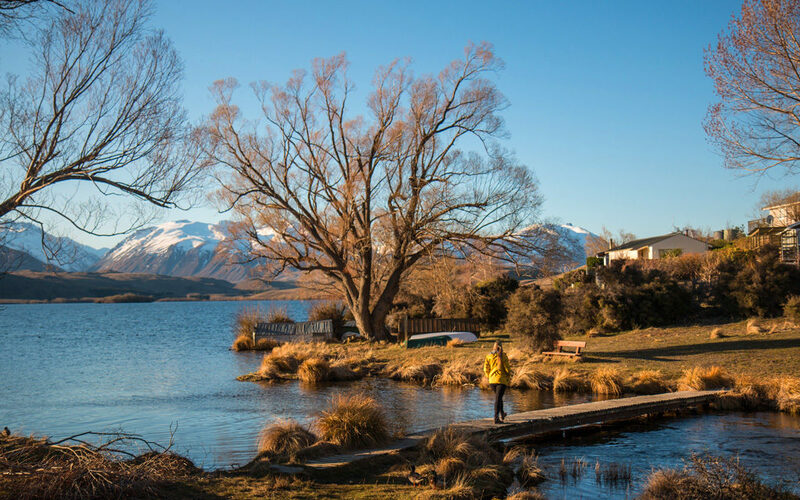 Take a trip off the beaten path; they’re only a short drive from Lake Tekapo with plenty of pleasant walkways around these small lakes. Very peaceful and contemplative. How about packing a picnic and dining under the trees? Pop into Lake Tekapo’s new Four Square supermarket, load up on food & drink supplies and go exploring! There are some picnic tables near the toilets, so go ahead and have a lovely picnic by Lake Pukaki. There are many beautiful trees along the edges of Lake Tekapo. You can head over to the western side by Tekapo Springs and wander along the edge of the lake. 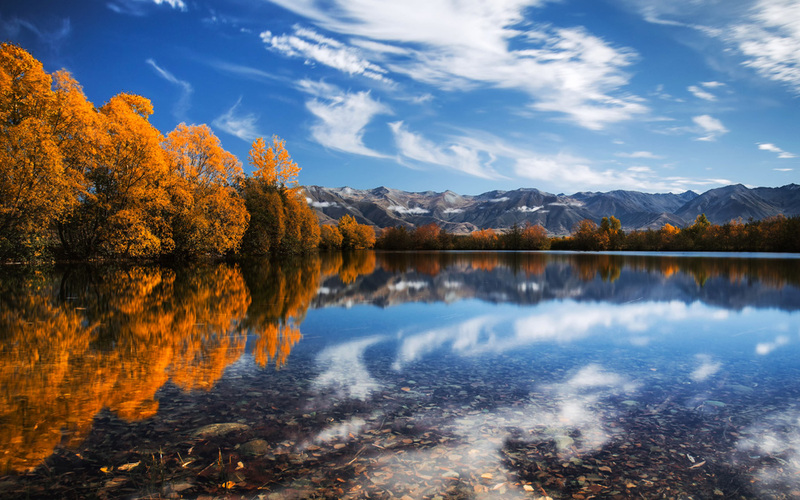 Another great spot is the Lake Tekapo Regional Park – a 165-hectare exotic forest on the south-eastern side of the lake. There are picnic tables; toilets; trails for biking, walking & jogging; dog park and more!